What’s the difference between weather and climate? How is weather measured and predicted? What are scientists saying about climate change? 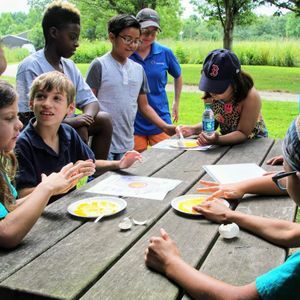 Homeschool students will find the answers to these questions and more through hands-on exploration of weather instruments, air masses and fronts, weather maps, cloud formation, temperature, atmosphere, climate zones, and severe weather. Experiments, games, weather walks, and visits to the Arboretum’s “weather station” will be part of the fun. Weather Chasers is for students ages 9–12. Students should come prepared with a folder, paper, a writing utensil, comfortable walking shoes, and clothes that may get a little dirty. Outside time will be a part of every class; dress for the weather!